We've still got one more month of 2018 movies to contend with, but 2019 will be here soon, and the first legit flick of the new year has a new trailer. 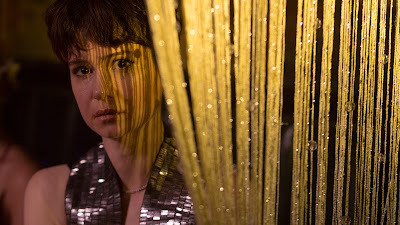 State Like Sleep opens January 1st, and with stars the caliber of Katherine Waterston and Michael Shannon it has the potential to start the year off hot. Written and directed by Meredith Danluck, best known for her 2010 documentary The Ride, the film is a noir thriller about a widow who finds herself pulled into the criminal underworld while investigating her dead husband's past. We haven't had a ton of opportunity to see Waterston in a true lead role, so this will be a nice change of pace. Besides Shannon she'll be joined by Michael Huisman, Luke Evans, and Mary Kay Place. There wasn't a ton of buzz after its premiere in Tribeca, but the reviews were solid. Waterston and Shannon may have pumped up my expectations higher than necessary, so here's hoping State Like Sleep impresses when it opens in theaters and VOD on January 1st.